Lovely elegant turned balustrade form with disc foot and flared rim. 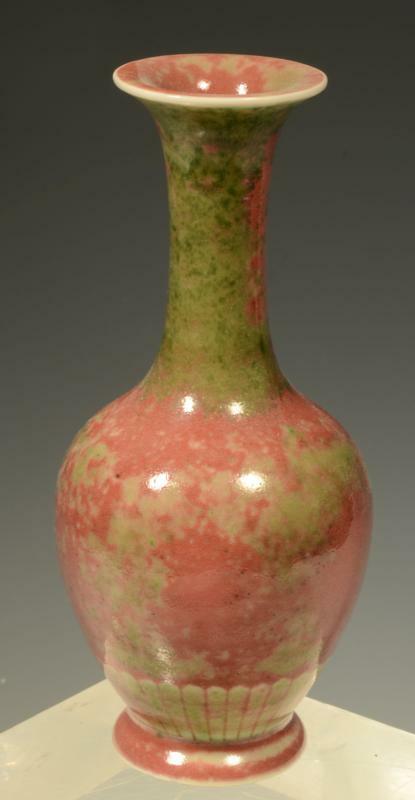 Porcelain with peach blossom glaze. (Jingdezhen ware) Size 5-1/2 inches Height. Ex Prominent NY Private Collector T. Ashley. Purchased from Marcel Gibrat, Madison Ave NY 1983.